MG has unveiled a new crossover SUV at the Beijing Auto Show. 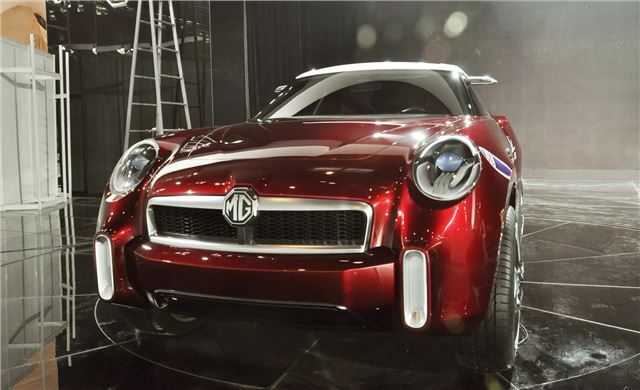 The Icon, designed under the lead of Brit Anthony Williams-Kenny, may have more than a passing similarity to the Nissan Juke, but MG is keen to explain that the new model takes its inspiration from MGs of old, like the MGA and MGB. There’s no word on whether it’ll go into production, but if it does go on sale expect it to compete with the Juke on both price and technology. It’s based on the MG3, an upcoming Ford Fiesta sized model, and features a four-door layout with backward hinged rear doors, much like those on a Vauxhall Meriva. MG is keen to raise its profile in the UK since its takeover by Chinese company SAIC, and with Jason Plato driving the new MG6 in the British Touring Car Championship it’s off to a good start - the radical looking Icon should only help raise MG’s profile further. You can read an interview with the lead designer at our sister site AROnline by clicking here.